Some weeks ago the cool people for Born Pretty Store where kind enough to offer promotional codes to get both these items for free. I got myself this Nail Art template that has the cutest designs and these cute rhinestones that can be applied to the nails. Now I am looking forward to get all the necessary tools to use this image template. 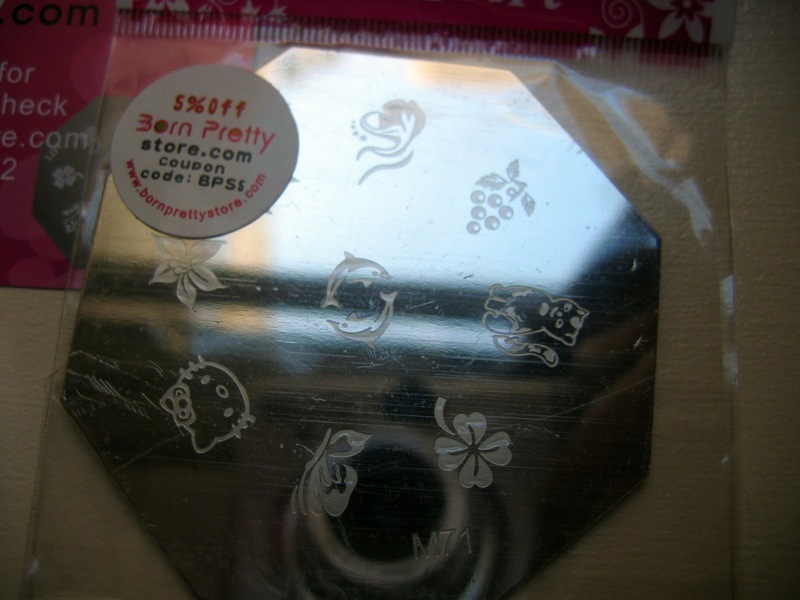 You can check out the Image Template (affiliate links): Nail Art Hello Kitty Stamp Template DIY Kit and the Rhinestones: 12 Colors Round Rhinestone Nail Art Glitter. They offer free shipping and all their products are really at an affordable price! They have many nail art supplies and nail polishes, so if you are a fan you will surely find all that you need here! I’m still not a pro at applying nail art but I want to learn and practice at it until I get it right. Do you create nail art to your nails? Have your ever bought from this store? 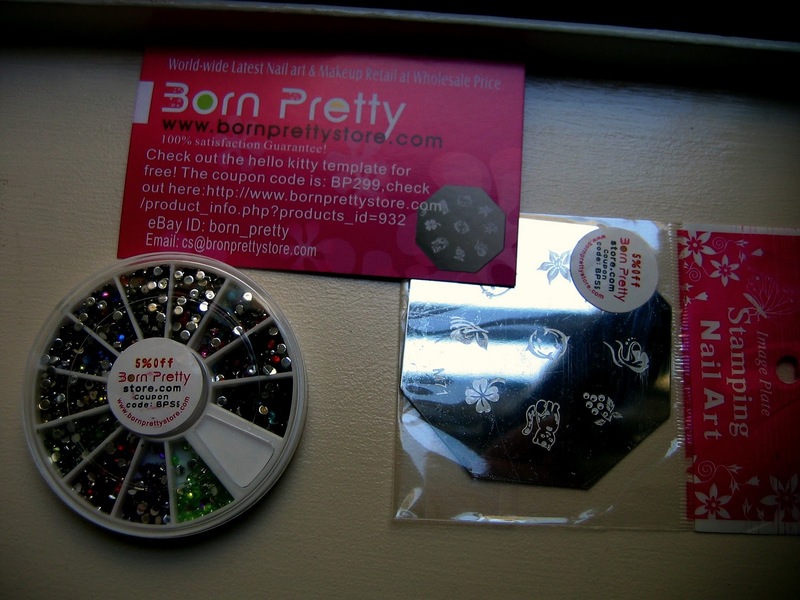 Never purchased from them before but I am quite tempted to do so after seeing those rhinestones, thanks! @globetrotter: Glad you liked them! 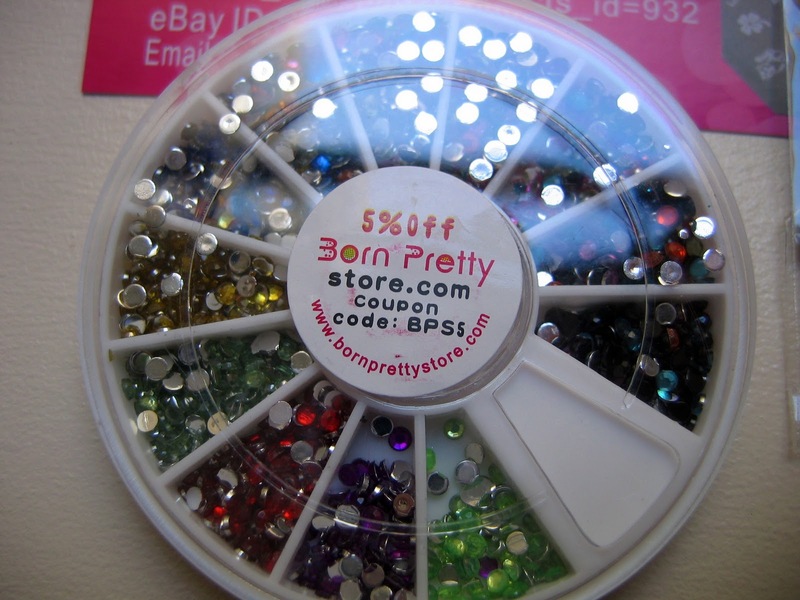 I love doing nail art on my nails, and I feel very tempted to order those rhinestones, they look so pretty! @Kelly: They are really good quality products and as far as I know they offer FREE shopping, which is always a Bonus in my book! 🙂 Thanks for stopping by.